While one look at his numbers doesn't quite tell you the whole story when it comes to Claude Giroux, it certainly shows you why Philadelphia's all-star forward is one of the game's very best. In this instance, the statistics don't lie. Two 100-point seasons during his time in the Quebec Major Junior Hockey League (QMJHL), a 51-point outburst in the 2007-08 QMJHL playoffs, coupled with a 34-point performance in 33 games with the Philadelphia Phantoms of the American Hockey League in 2008-09. It's a big reason Giroux was a coveted prized prospect and deemed a potential superstar when he hit the NHL ranks. Now, in his fourth season, the 24-year-old right-winger truly is at the top of his game. Giroux grew up playing hockey in his hometown of Hearst, Ontario, a town of just over 5,000 people, located about 600 miles north of Toronto. He skated in Bantam A for the Hearst Lumber Kings in 2001–02, eventually moving to Orléans, Ontario in the summer of 2002, where he played Major Bantam and Minor Midget AA for the Cumberland Barons in the 2002–03 and 2003–04 campaigns. In spite of his lofty numbers with the Barons (99 points in 87 games), Giroux was overlooked in the 2005 Ontario Hockey League Entry Draft, eventually leading him to suit up for the Gatineau Olympiques of the QMJHL. Giroux, who scored his first NHL goal against the Florida Panthers in a 3–2 loss on January 27, 2009, has done that and much more. This season, Giroux, who played in his second consecutive All-Star Game in January, when he scored a goal assisted by fellow Flyer Scott Hartnell, has been simply stellar. He's already surpassed his previous NHL career-best points total (76 in 2010-11), averaging well over a point per game, despite missing four games in December. On his current pace, the 5'11”, 175-pounder could crack the 100-point plateau and reach 30 goals. Giroux, however, is in pursuit of a different goal. Giroux, who had 21 points in 23 post-season games in 2009-10, when the Flyers lost in six games to the Chicago Blackhawks in the Cup Finals, will no doubt be looked upon as key for the Flyers in the post-season. In 2010-11, Giroux recorded 12 points in 11 games, but Philadelphia bowed out to eventual Cup champion, Boston Bruins, in four games in their Eastern Conference semifinal set. 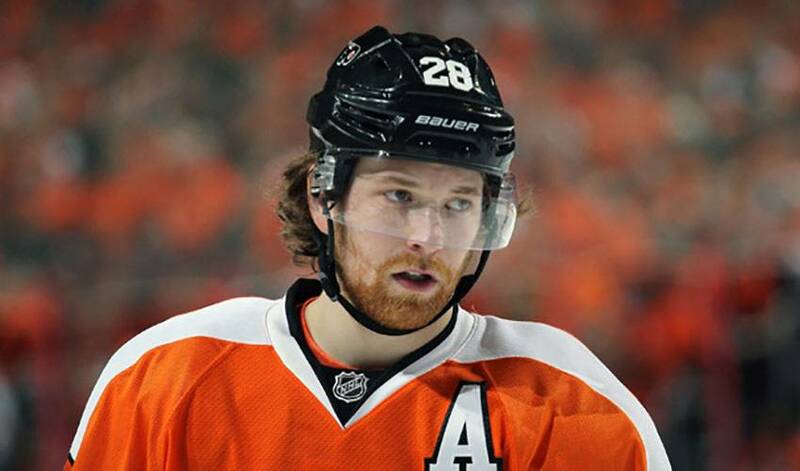 As for what pushes Giroux night in and night out, it's simply a motivation to be the best he can be. While he's only 270-plus games into his NHL career, his numbers, accompanied by a winning attitude, suggest things will only get better for Philadelphia's top-shelf talent.